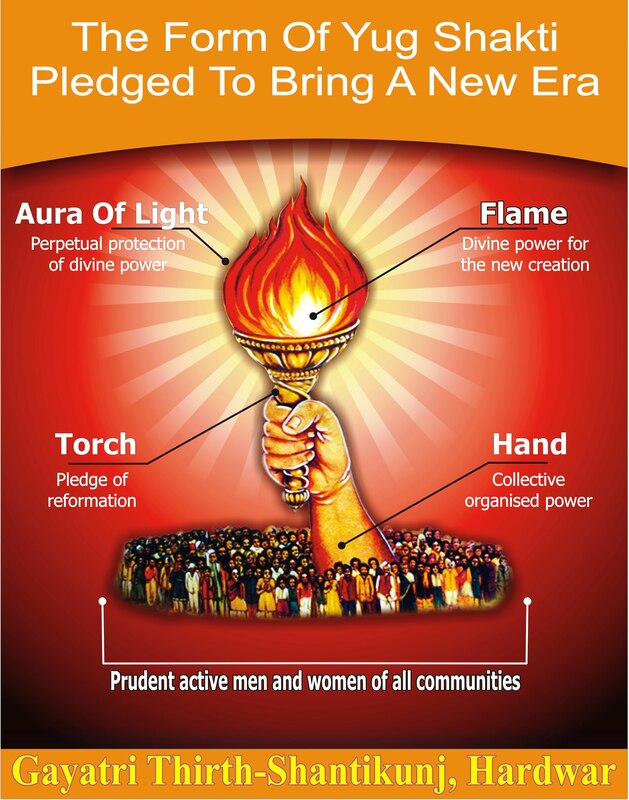 On the auspicious days of Ashwin Navratri. 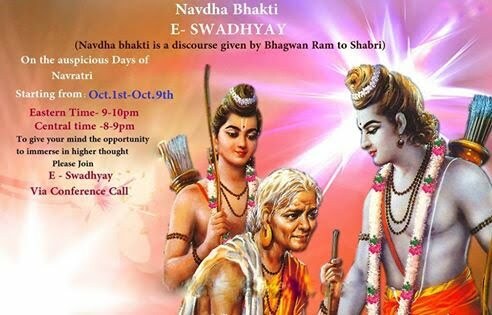 We are having E-Swadhyay on "Navdha Bhakti" based on the lectures by Resp. Dr. Pranav Pandya. Navdha bhakti is a discourse given by Bhagwan Ram to Shabari. We will listen lecture everyday starting from Oct.1st - Oct.9th)) at Eastern time- 9 PM to 10PM ( Central time is 8PM- 9 PM) Please come by before 5 minutes, So we can start on time . Discourse is for approximately 30 min. after that ,Host will summarize the lecture in own words and then all participants will share their thoughts.